We are delivering to Winter Produce and Egg Share members today and Thursday. Winter Produce Shares are packed into wax boxes for protection from the winter weather. Please unpack your shares from these boxes into your bags/containers. We will fold and reuse these boxes throughout the season. Last week's extreme cold and a rapid warm up caused us to have a very wet, muddy farm as you can see in the background of this picture! Our winter spinach fared well through the harsh weather despite it all. The spinach was protected under blankets of remay fabric and a layer of snow on top of the hoophouse. As snow melted from the hoophouse roof and we uncovered the spinach rows, the spinach leaves seemed to "wake up" as they welcomed the sunshine's warmth and light. You can see a video of this process within our Instagram stories. 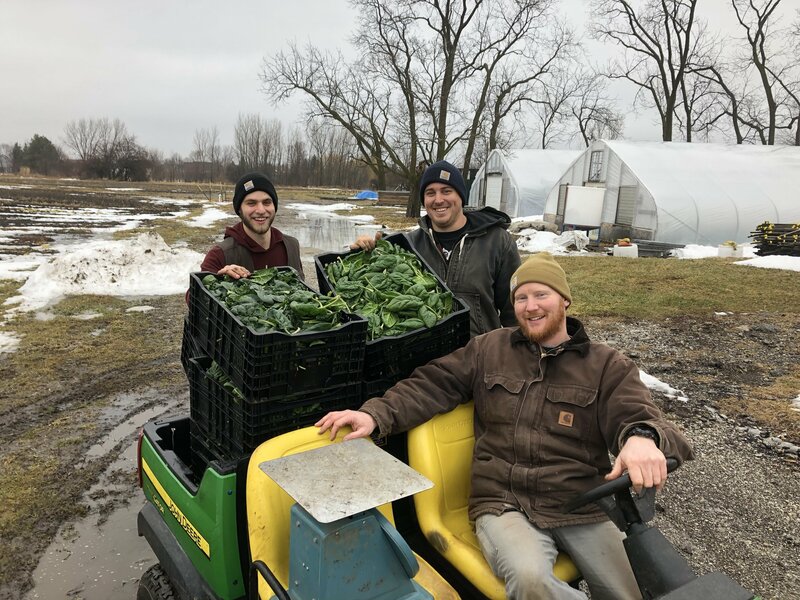 Yesterday, Tyler, Mark, Jeff and I enjoyed harvesting the healthy, deep green winter spinach leaves together for members. Today, we're busy taking advantage of warmer weather conditions to prepare for farm for the next winter weather event coming this evening. Enjoy this week's goodies and please travel safely! 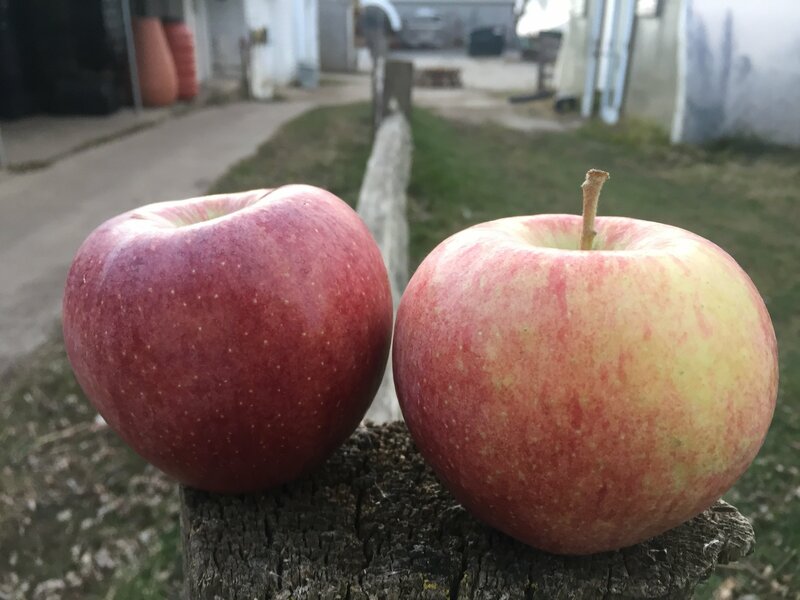 Honeycrisp Apples were a plentiful harvest in the 2018 growing season, says Abby Klug of Mick Klug Farm. Honeycrisp apples are known for their sweet flavor and crisp flesh however their skin can easily bruise. This week's share contains the final apples of the Klug's harvest and the family is sending the rest of the apples to the cider mill for us next week. We never let a few bruises stop our enjoyment of these treats! While the weather is cold outside, we're warming the house by drying slices of our apples to make apple chips and making paleo/vegan apple crisp (recipe below). 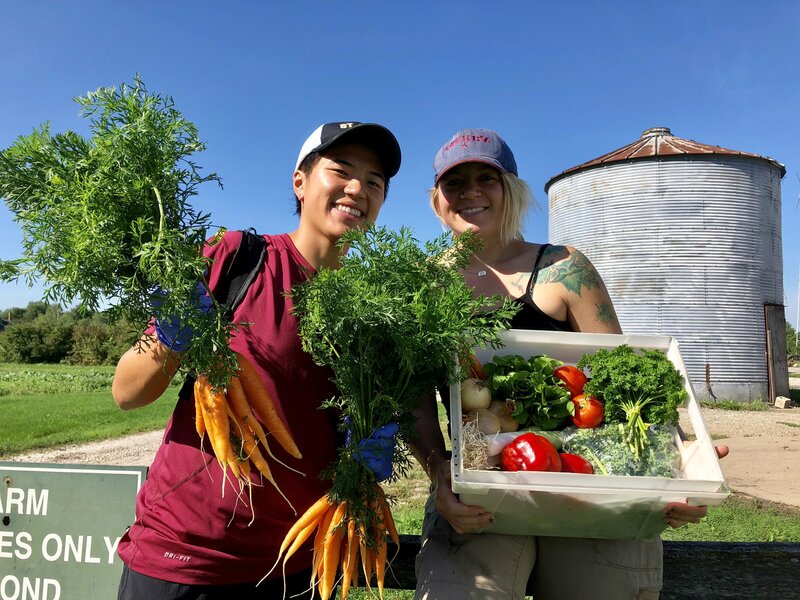 Thank YOU for helping us spread the word about joining our 2019 CSA Program for the upcoming outdoor growing season! Your word-of-mouth and online recommendations and referrals are our most valuable marketing resource. We are truly grateful for your support and sharing! Next Share's Harvest (our best guess)...carrots, apple cider, popcorn, frozen produce, and more!